UK 4 March 2019 Share this with Facebook Share this with Messenger Share this with Twitter Share this with Email Share this with Facebook Share this with WhatsApp Share this with Messenger Share this with Twitter Share Share this with These are external links and will open in a new window Email Share this with Email Facebook Share this with Facebook Messenger Share this with Messenger Messenger Share this with Messenger Twitter Share this with Twitter Pinterest Share this with Pinterest WhatsApp Share this with WhatsApp LinkedIn Share this with LinkedIn Copy this link https://www.bbc.com/news/uk-47428515 Read more about sharing. 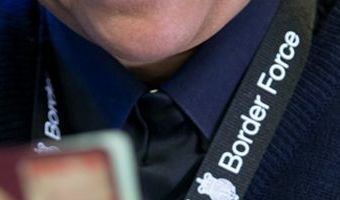 These are external links and will open in a new window Close share panel Almost half the people in the UK believe immigration has been positive for the country, a poll for the BBC's Crossing Divides season suggests. Just over a … [Read more...] about Has the UK changed its mind on immigration?